As far back as I can remember, I wanted to fly. From about age thirteen, my dream was to become an Air Force pilot. As things I turned out, I did go into the Air Force and I flew, but not as a pilot. (See my book Hauling Trash.) Yet even though I never became a military pilot, I took advantage of the opportunities presented to me to obtain a private pilot's license through military flying clubs then used my GI Bill benefits to obtain my commerical pilots license and other ratings, which made me eligible to pursue a career in aviation and when I left the Air Force after twelve years, that is exactly what I set out to do. As a pilot, I logged over 16,000 hours, which comes out to over two years of my life spent off of the ground. 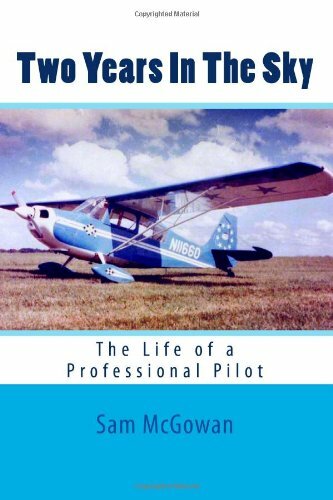 TWO YEARS IN THE SKY is the account of those hours, starting with my introduction to flying as a small boy and ending with my retirement from corporate flying.